Engaging students is an uphill battle; one of the most demoralizing experiences as a teacher is to teach apathetic students. Students who are bored and disengaged. 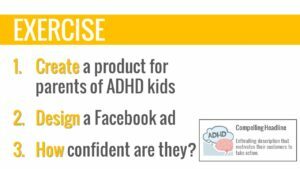 In this article we’ll show you an easy exercise that gets students bought-in and motivated to participate in class. 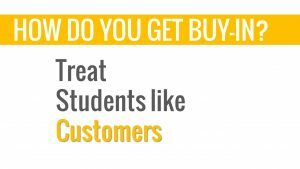 It’s most effective to treat our students, like our customers. Take an authoritarian approach where, “I-am-the-teacher-and-you-are-the-student-and-therefore-you-listen-to-me” power dynamic. 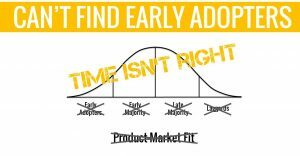 This is where most of us start because a) it’s the way we were taught and b) its not obvious how to change this paradigm and still accomplish our goals. The authoritarian approach is great for generating compliance and obedience from students, but its abysmal at garnering the enthusiasm, energy and participation you need in an experiential entrepreneurship class. 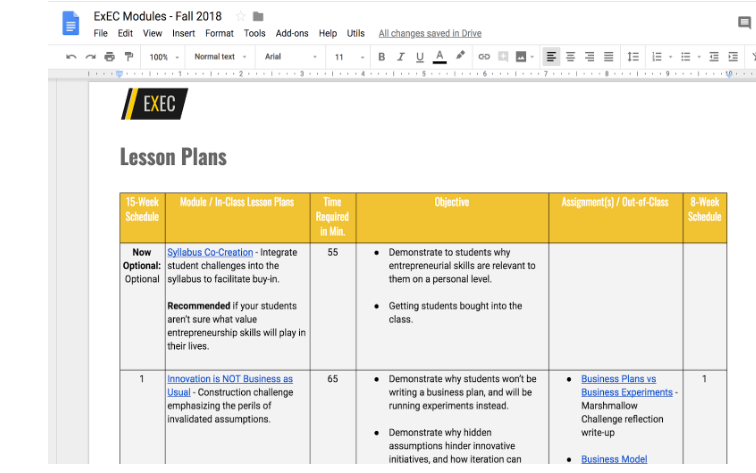 Alternatively, you and your students can collaborate in defining the nature of your class, just like companies and their customers collaborate to define mutually beneficial solutions. We teachers are selling a set of skills and ideas that we want our students to buy-into. They won’t buy it, because those are the products of teachers. 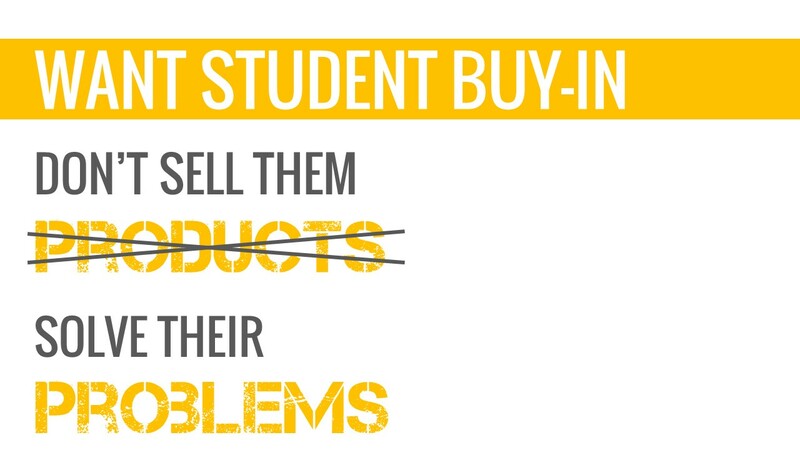 If we want our students’ buy-in, we need to solve their problems. 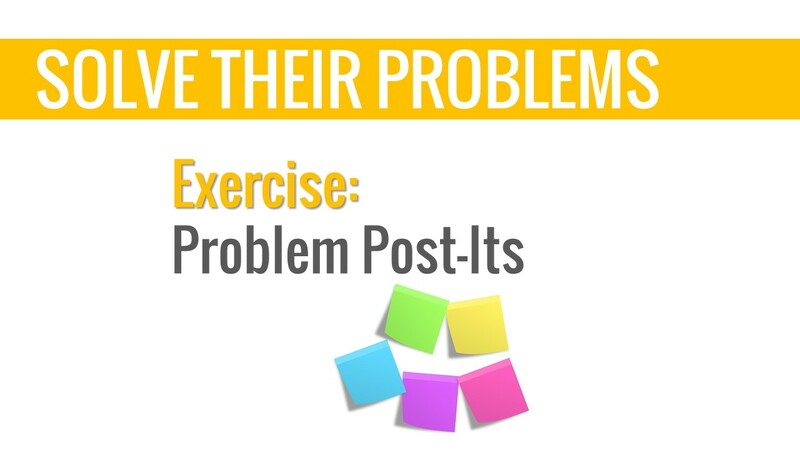 A fast, and fun, way to discover the problems of your students is called the Problem Post-Its. 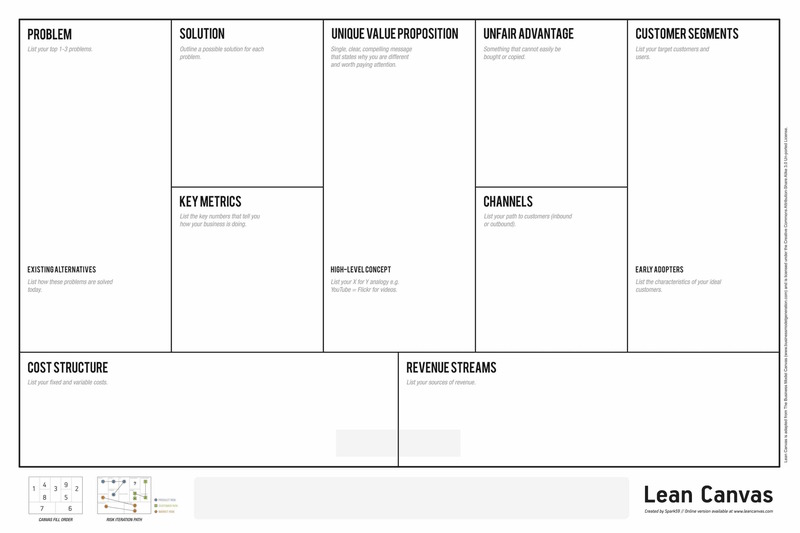 This exercise is inspired by Laura Klein, the author of UX for Lean Startups and you’ll find that it’s a fantastic brainstorming exercise in general. We’ll use it for brainstorming problems here, but you can also teach it to your students as a way for them to brainstorm any kind of ideas. This technique balances the energy of extroverts on a team, with the great insights the introverts on a team, so all voices are heard. This exercise can be broken down into four steps. 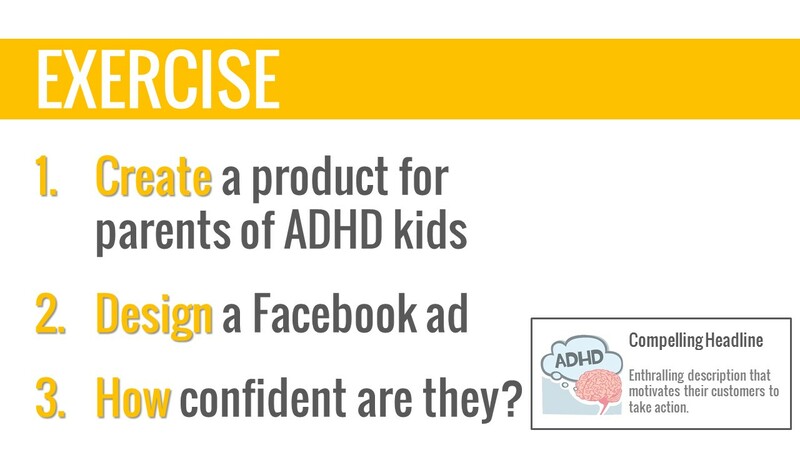 We use the acronym DARE to outline each step. 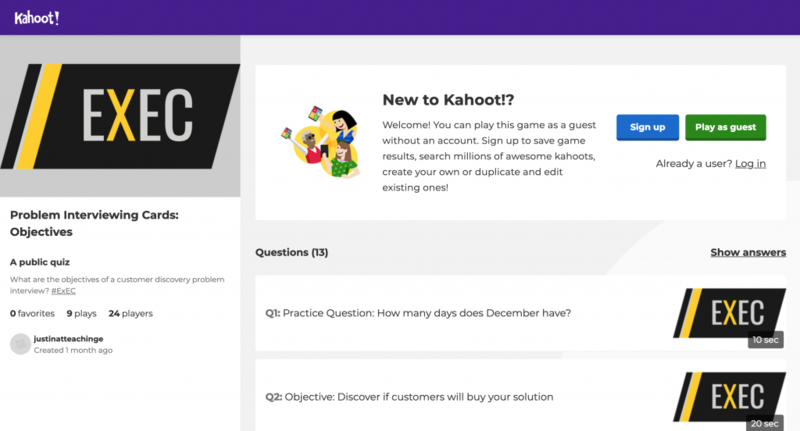 Discover – discover your students’ problems. 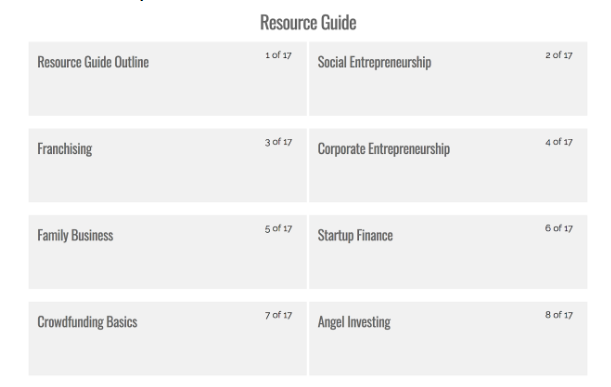 Analyze – analyze and categorize them. 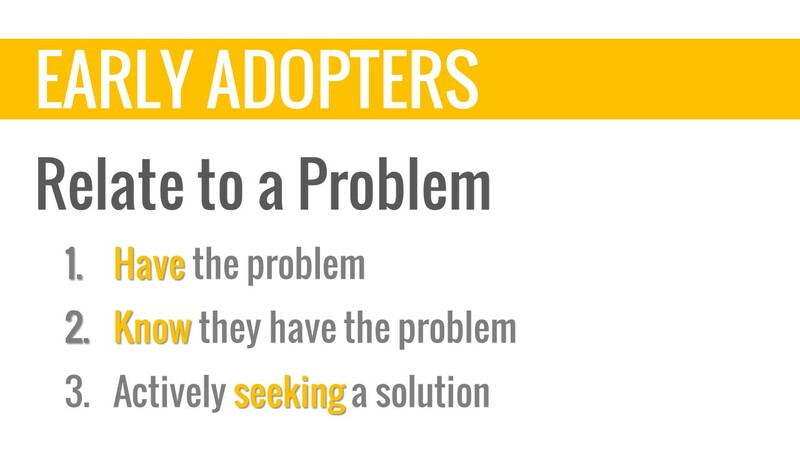 Reflect – reflect their problems back to them to get their buy-in. 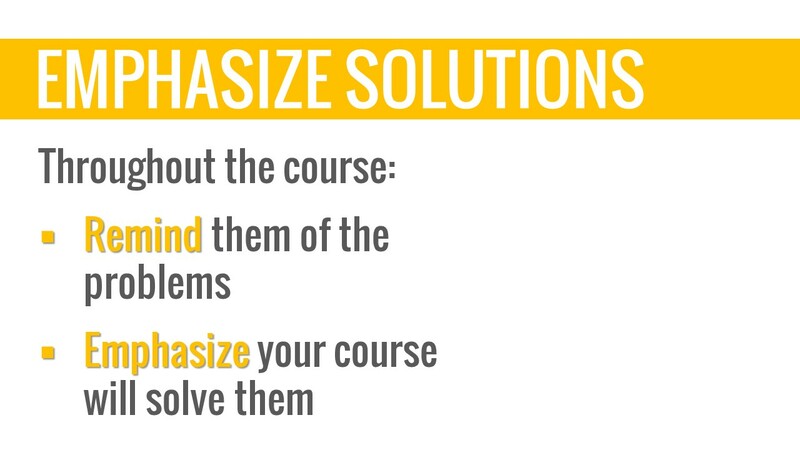 Emphasize – emphasize the solutions to their problems that you’re going to offer throughout the course. 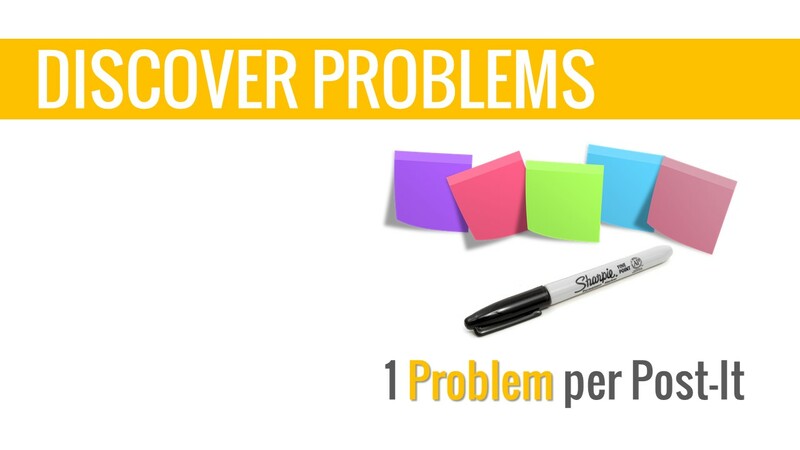 To discover your students’ problems you’re going to arm them with a set of post-it notes. Give each student roughly ten post-it notes and a Sharpie or some other kind of marker. 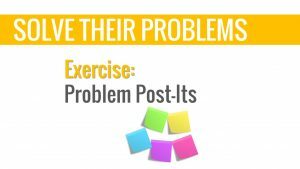 Ask them to write down one problem they have per post-it note. It’s a good idea to emphasize this one-problem-per-note bit. 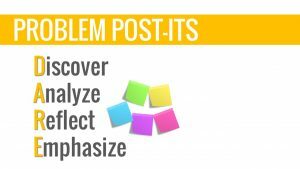 If you don’t, you’ll find that at least one person in your class is going to end up writing down all their problems on a single post-it note. When you focus your students’ attention to problems in these categories, it will constrain the problem set to ones you can actually help them solve during your course. 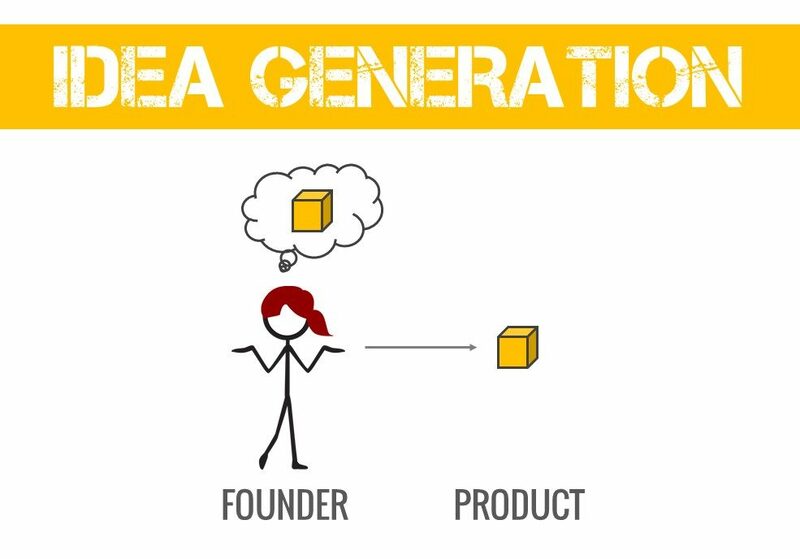 During their two minute silent brainstorming, ask them to aim for at least ten problems – so at least ten post-it notes. Have your students take their 10-ish Post-It notes and pick out their top three problems. 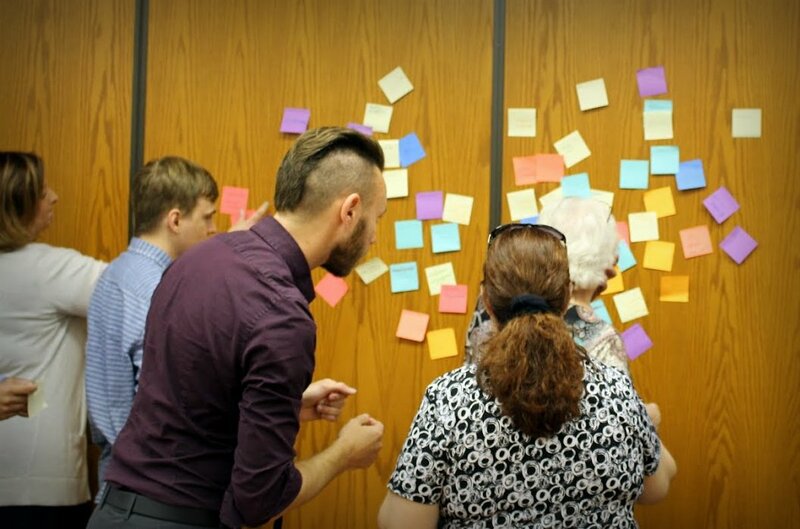 Then ask your students to stand up and meet you at a wall in your class with their top 3 Post-It notes. 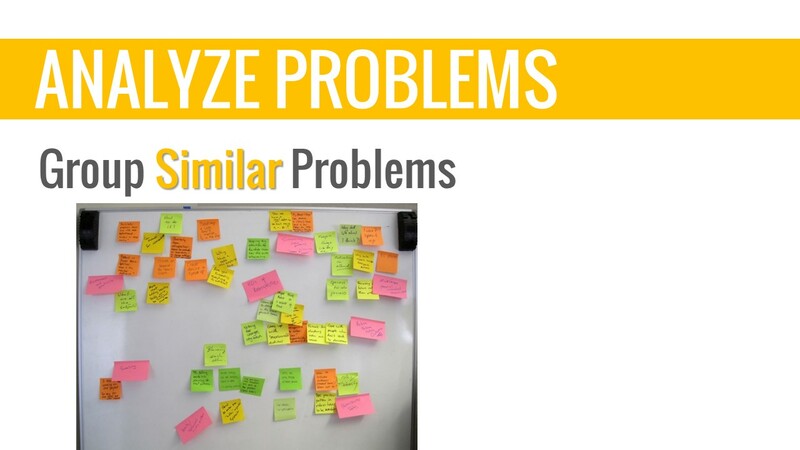 Now that you have all of your students standing with you at a wall in your classroom, you’ll start grouping their problems into “problem clouds”, where similar problems are posted next to one another. Everyone who has that problem will raise their hand and you’ll collect all those notes and put them up on your wall together to make a cloud for that problem. Now ask another student for a problem they have. You’ll collect all those and create another problem cloud kind of close to the original “I don’t know what job I want” cloud because they’re both related. Now that you have all these problem clouds, you’ve analyzed your students’ (i.e. customers’) problems. You can see what problems your students have, and what are the most common problems. 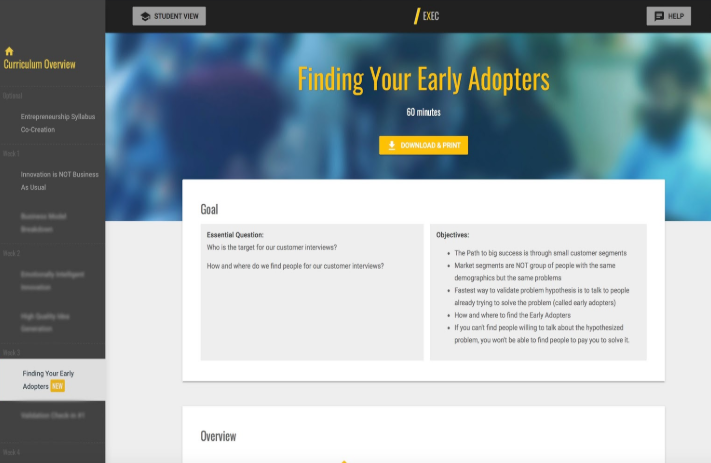 You’ll now know the most prevalent, the most pressing problems of your customers, in their own words. You’re now ready to reflect the problems you’ve heard back to them. Not only do you want to make sure you’ve heard them right, but when you reflect your students’ problems back to them in their own words, you will get their buy-in. When you 1) reflect your student’s problems back to them and 2) help them take steps towards solving them, they will buy in. When you connect the dots for your students between the problems they have and the skills you’re going to teach them, they will buy in. In fact, they’ll do more than that. 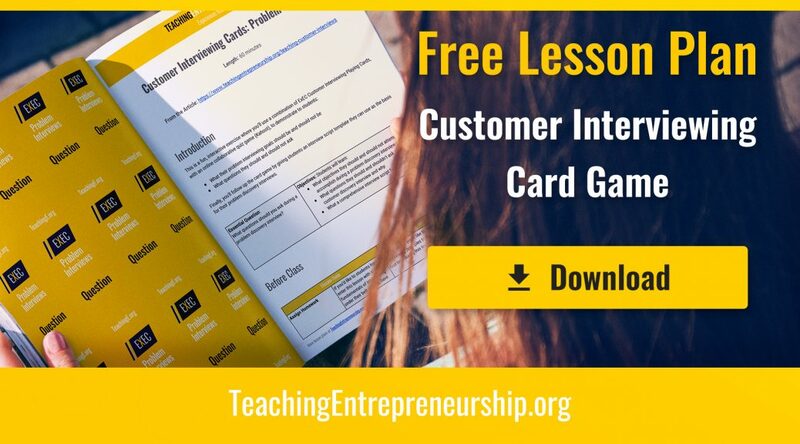 With a young or old, undergraduate or postgraduate, MBA or freshman, when you understand the problems of your customers, connect the dots, and show them how what you’re going to teach them is going to help them solve those problems, you will engage your students! 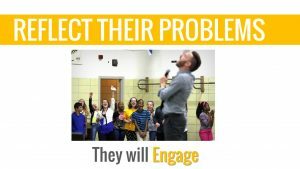 Now that you’ve reflected their problems back to your students, you want to emphasize that you’re going to solve those problems throughout their course. 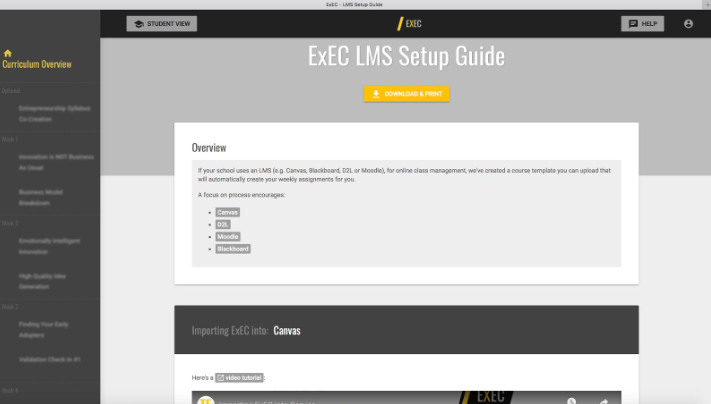 What that looks like is simply reminding them for each exercise you do, or each day of your course, how this is going to help solve one the problems in their original problem clouds. You are always emphasizing how elements of this course tie back to the problems they are actually experiencing. 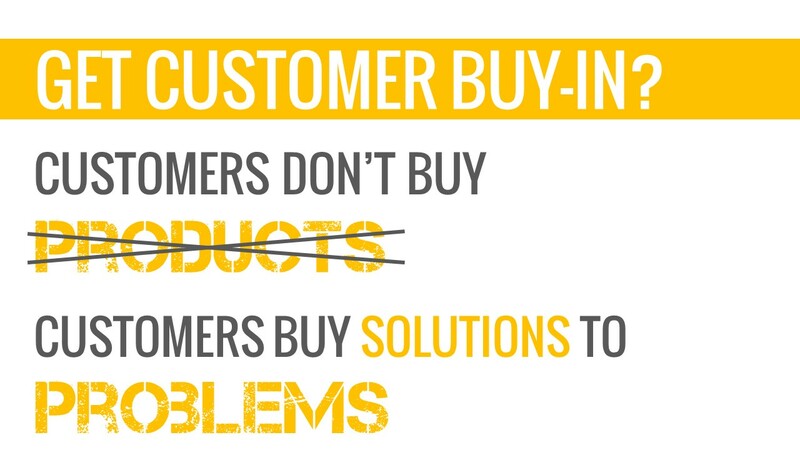 Focusing on their customers’s problems. 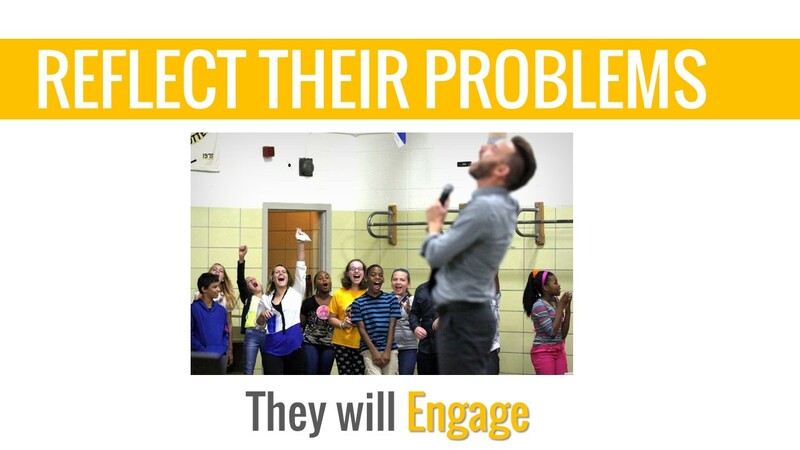 By genuinely engaging with your students’ problems, you’re showing them what it looks like to be empathetic. 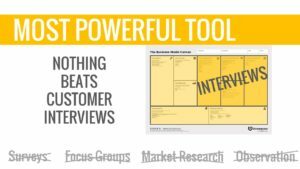 They will take the same sincerity you apply to this exercise with them when they conduct problem interviews with their customers. 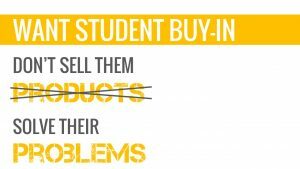 Getting our students to buy-in, by treating them like customers. 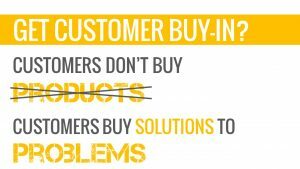 Customers don’t want to buy products. They don’t care about the organization of the class, the syllabus, or the textbook, or the lectures or anything like that. DARE to solve their problems. When you show your students how your course will solve their problems, they will engage with your class like never before. 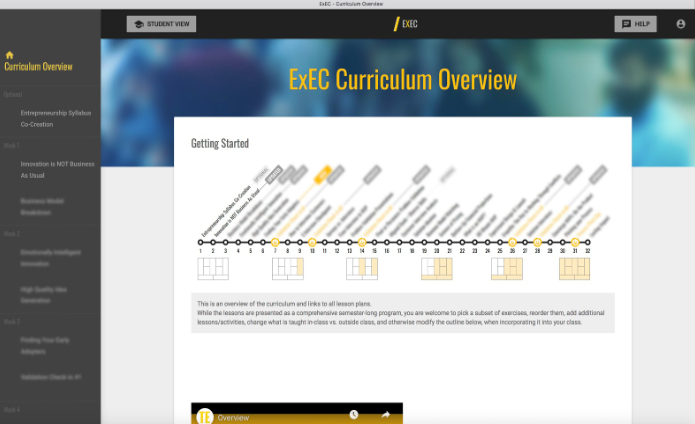 We’ve created an experiential, 45-minute, Problem Post-It Lesson Plan to help you engage your students in the DARE process. It encapsulates everything we’ve talked about above. 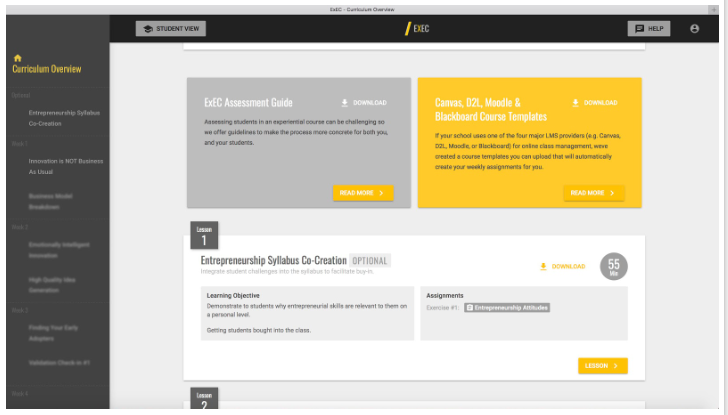 In a future article, we will explore in more detail how to use the DARE exercise to co-create a syllabus with your students! 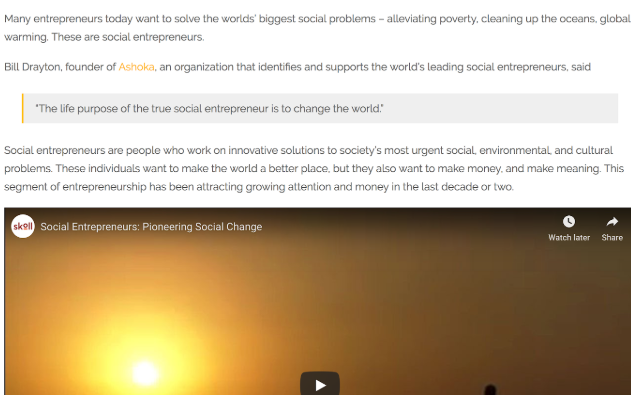 Please subscribe here to get that post in your inbox. 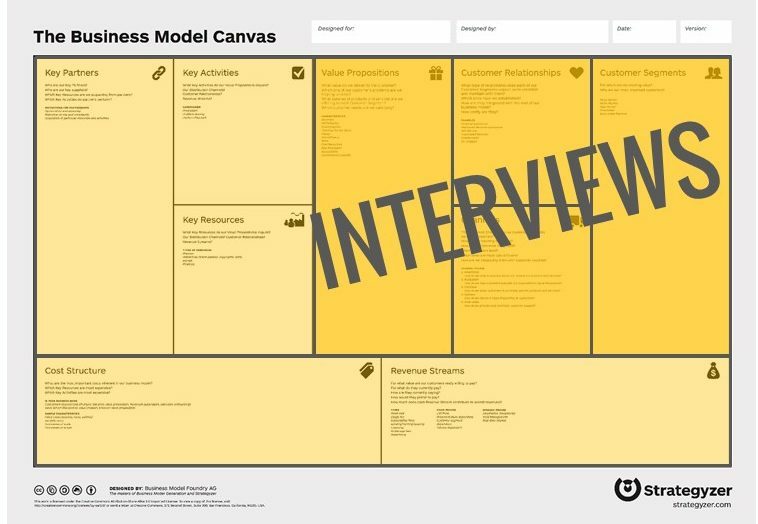 If you’re like most of us entrepreneurship professors, after you help your students come up with great startup ideas, you ask them to fill a business model canvas or a lean canvas with their assumptions. Now you want them to validate those assumptions. 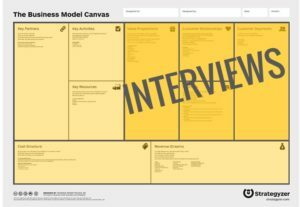 The canvas is great at illuminating all the assumptions students have about their business, but it won’t help them actually test those assumptions. 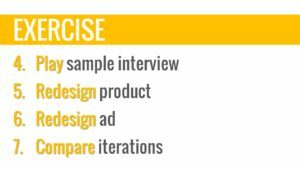 Analyze the experiment results to (in)validate their hypothesis. 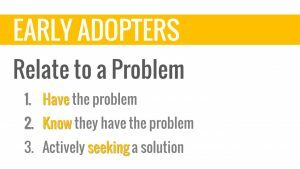 Many entrepreneurship students struggle to validate the problem they are solving for their customers. 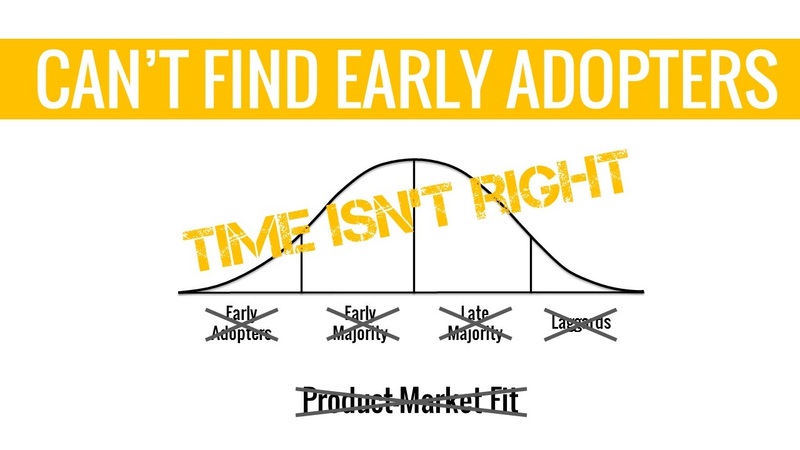 While they often understand why validation is important, they don’t know how to test their assumptions, especially when it comes to the critical problem hypothesis. Here are some quick ways to help them practice hypothesizing their customers’ problems, and validating those hypotheses. Make a hypothesis: Students hypothesize about the most intense problem the other students’ in their entrepreneurship class are experiencing. They write down what they think other students in your class would say when asked, “What is the hardest part about this class?” (e.g. “The homework is too time-consuming”). 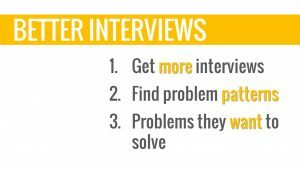 Define a success metric: Before asking their peers the question above, each student writes down the number of interviewees they think will report the problem they’ve written down (e.g. “If 3 out of the 5 students I interview say the homework is too time-consuming, I will have validated my hypothesis.”). For each interview, they write down the name of each student they interviewed, and their biggest challenge. 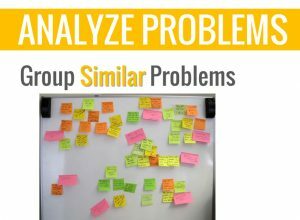 Analyze their results: Students analyze the answers they’ve written down and tally up how many of their peers reported the problem they hypothesized. Any students who invalidated his/her hypothesis, should highlight the most common problem they heard. 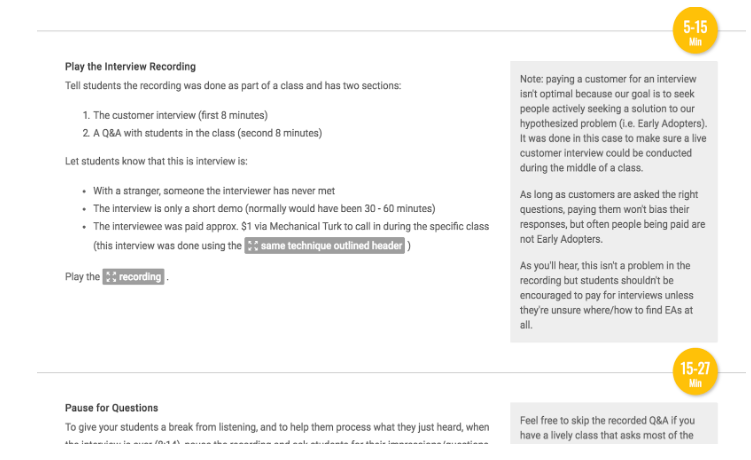 Discuss as a class: Students share their experiences interviewing and being interviewed, the most common problems they heard, how many people validated/invalidated their hypotheses, and what surprised them most about the responses they heard. No matter the outcomes of the experiments, you can highlight several teaching points. 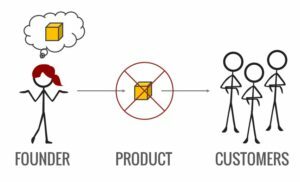 If a student’s hypothesis is validated: Talk about why it’s a great idea to start a company that “scratches your own itch.” When they are a member of their customer segment, they know the problems and can empathize with their customers. 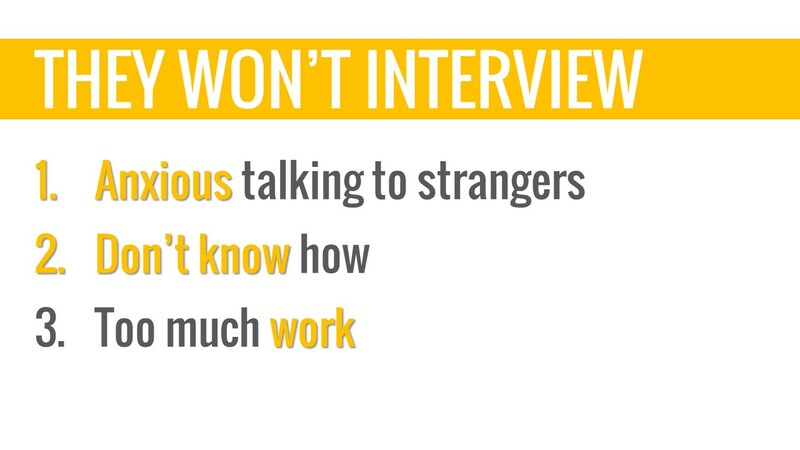 If a student’s hypothesis is validated: Highlight the power of interviewing. If that student built a company to solve their hypothesized problem, that company would have failed. Since they took the time to test their hypothesis, they are much more likely to succeed in building a company. If they find no pattern in the problems they heard? 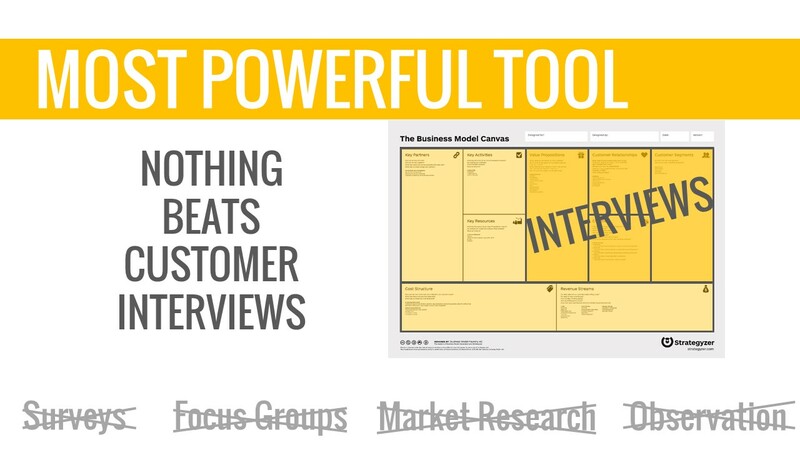 You can talk about what happens when interviewing customers across customer segments. Students learn that “problem noise” creates confusion and you can discuss how developing niche customer based on some criteria (gender, major, age), and re-interviewing those niches can help to find a consistent pattern. 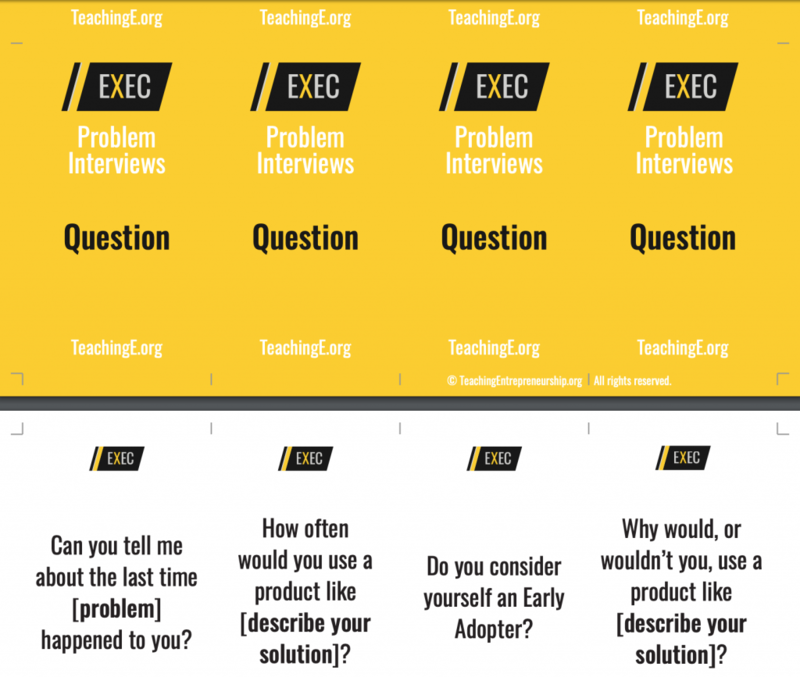 The 1-Question individual interviews exercise above is powerful for a number of reasons. 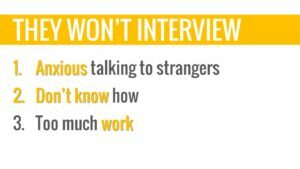 It helps students ease their way into customer interviewing, by talking with a group of people they are comfortable with. 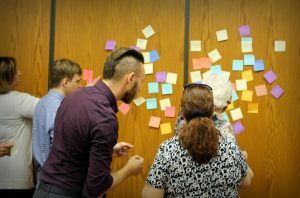 It facilitates a discussion about talking to other people about their problems, and what it’s like to have someone asking the students about their problems. 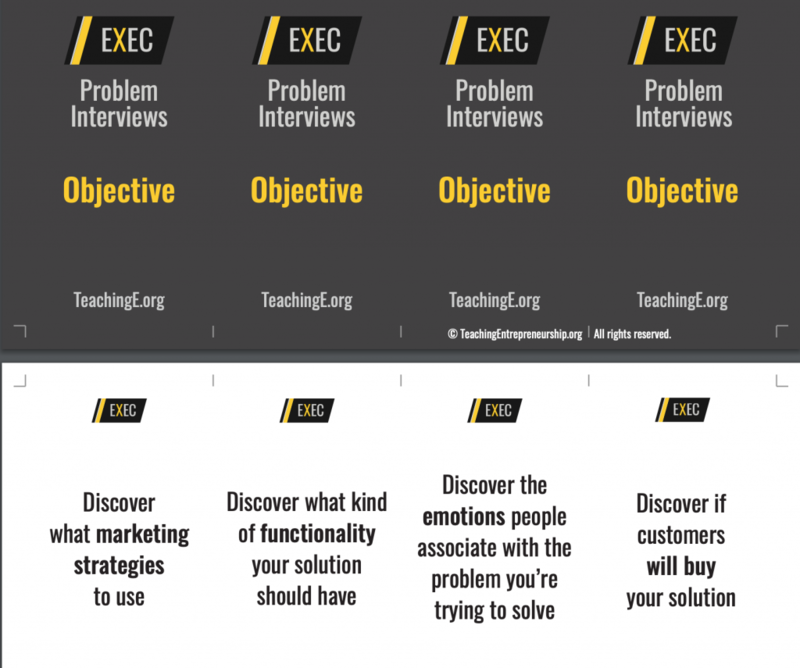 The typically enjoyable experience of being interviewed (i.e. 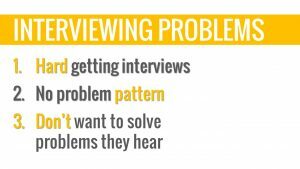 having someone ask about, and listen to, your problems), gives your students a sense of what it will feel like for their eventual interviewees. 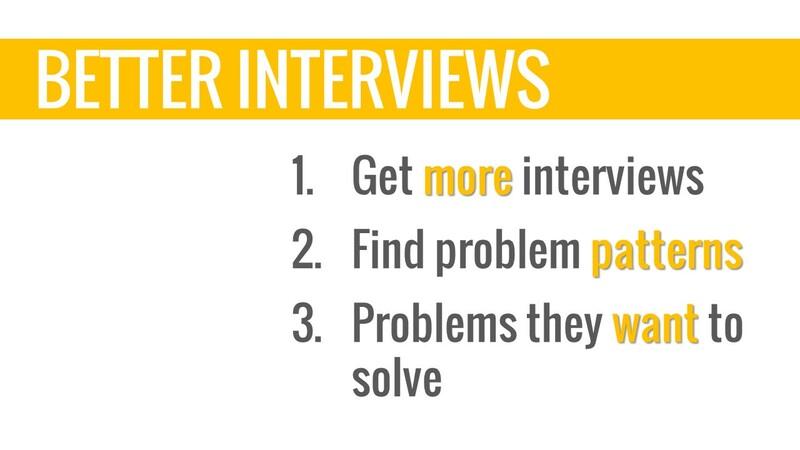 Students typically assume their interviews are inconveniencing their interviewees, but you can use this exercise to highlight that more often than not, customers enjoy being interviewed because someone is genuinely interested in help them solve a problem. 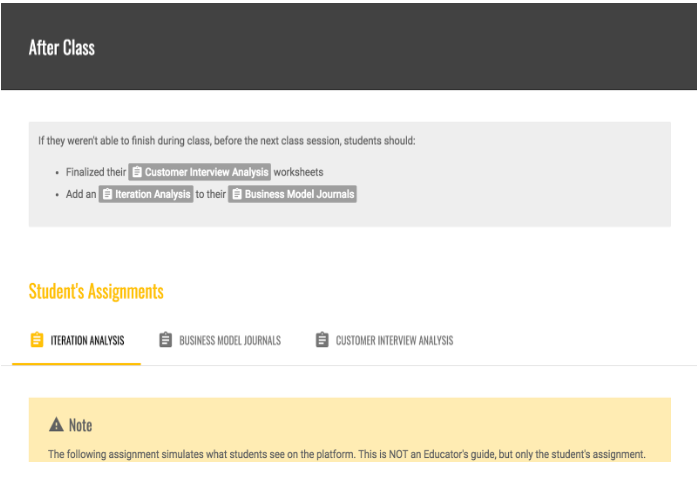 By asking about your students’ biggest challenges, you’re modeling the behavior you want to see in your students – you’re collecting data about your customers’ problems! 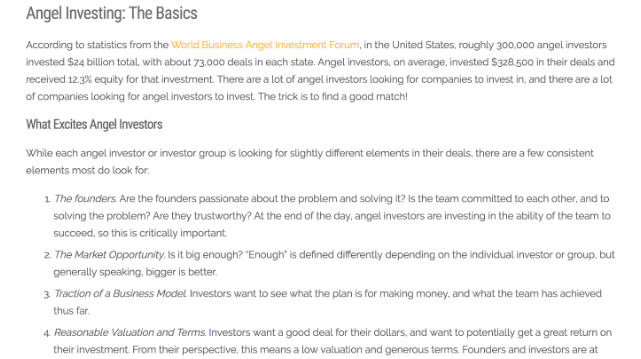 Invalidated assumptions provide as much valuable information about the market as validated assumptions. 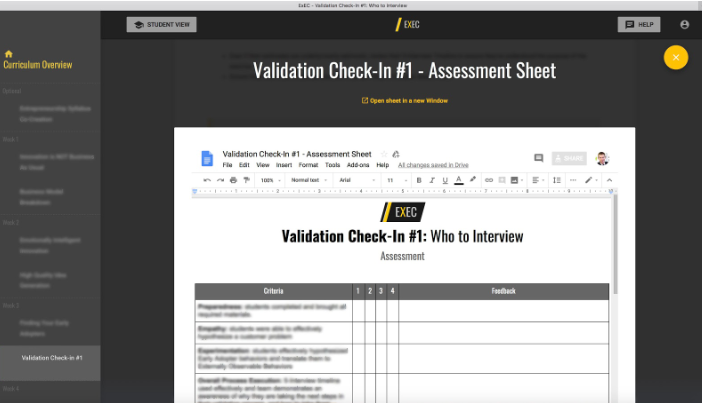 For more details, check out our complete Intro to Problem Validation lesson plan below. 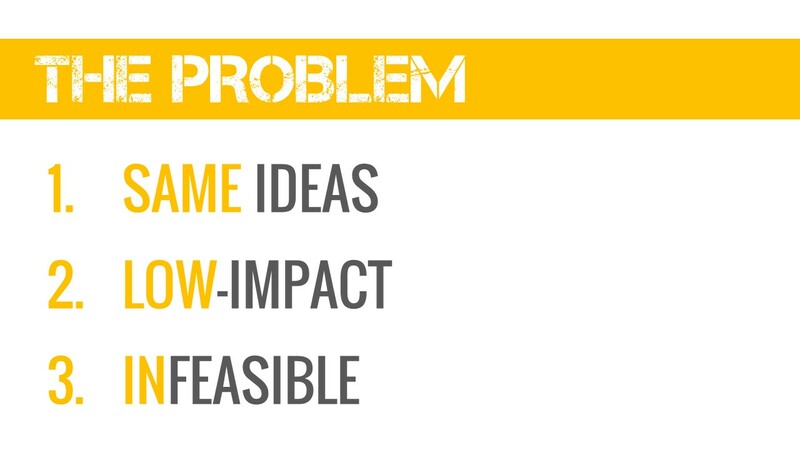 How to develop a problem hypothesis. 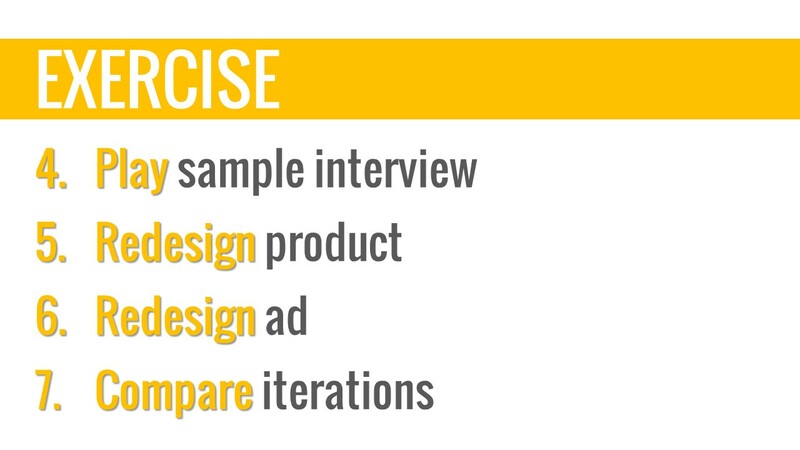 How to develop success metrics for that hypothesis to ensure it’s testable. 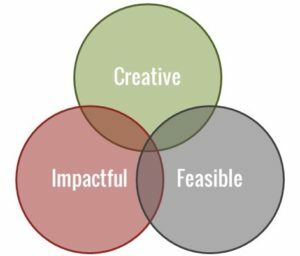 Why it can be helpful to “scratch your own itch”. Why talking to customers before they start a company is so important. 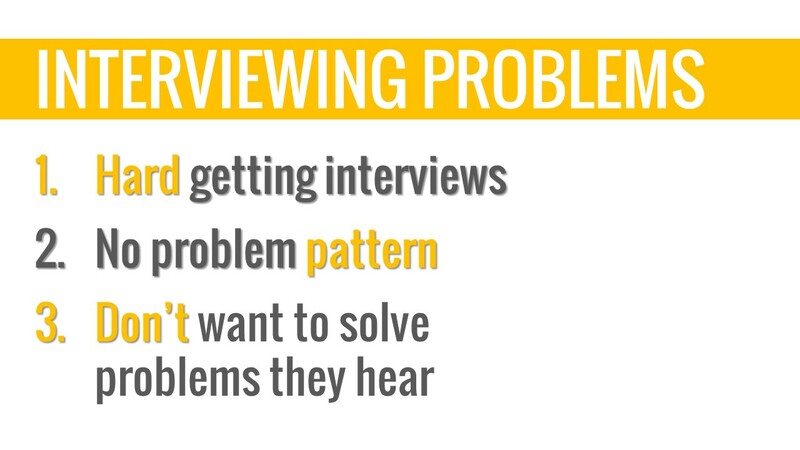 How to not lead or bias their interviewees (by asking about problems, not products). It is not pleasant to be interviewed. It is more important that their hypotheses be tested, than they be right. 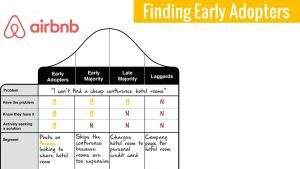 Imagine your students leaping from an idea and the basic assumptions underlying their business model to (in)validating assumptions through real time engagement with potential customers. They are now able to describe the problem in the customer’s own words. 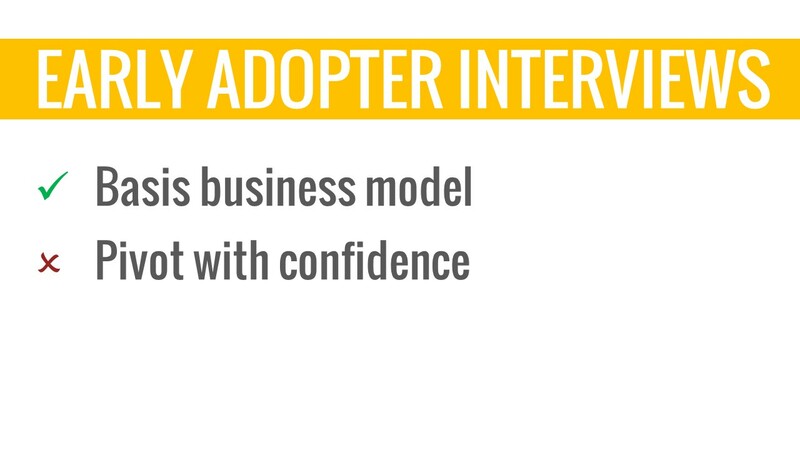 What if your students understood how to use the information they gather from customer interviews? 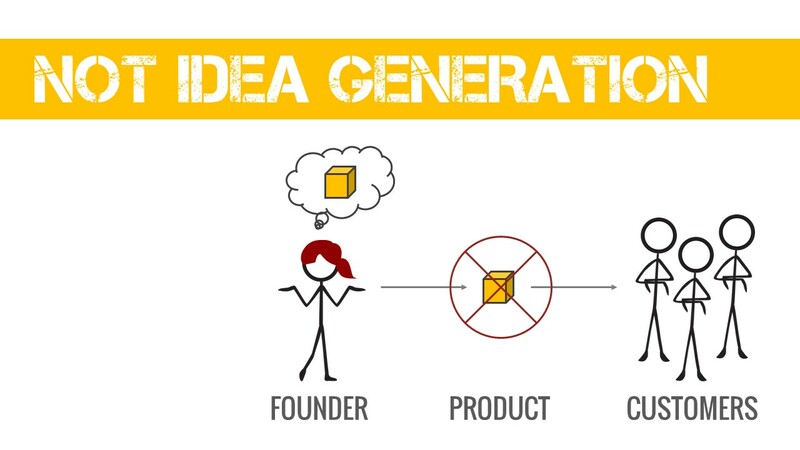 We as entrepreneurship educators need to validate student problems to build an engaging learning environment. 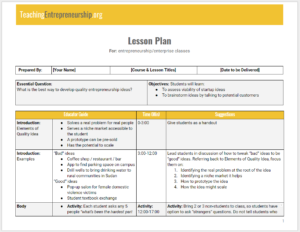 We’ve created an experiential, 45-minute, Entrepreneurship Problem Validation Lesson Plan that encapsulates everything we’ve talked about above. 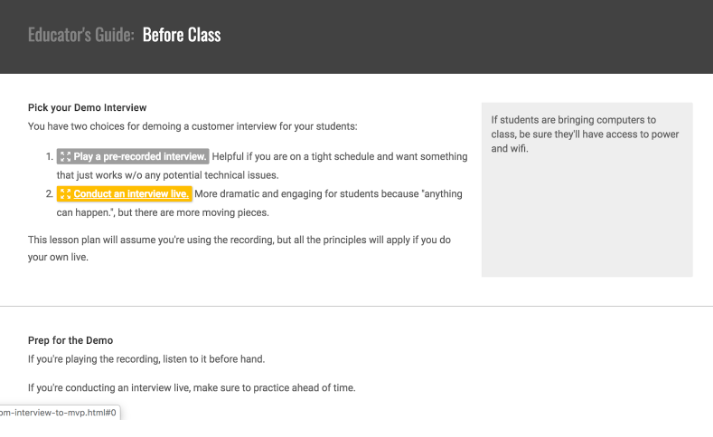 In an upcoming post, we talk about teaching your students to conduct high quality, real-world customer interviews in an engaging and approachable way!